This is a WordPress theme that was designed in order to showcase communities, directories as well as local events. The theme has a strong emphasis on local SEO, therefore a great choice of theme if you want to boost your SEO. It comes with an inbuilt keyword planner to help users develop content that bests suits their locality. It also includes stats, a tool that helps you learn about your SEO ranking factors, so you can make amends if necessary. This is a highly performing WordPress theme that was designed specifically for SEO optimization and speed. The theme is highly optimized; therefore you can be assured of a higher ranking once you use it to create your websites. It can guarantee fast loading too. Infinity uses clean code, which is why it is able to improve on your page speed and YSlow scores. It comes with several templates which can be used to design personal layouts using the visual composer plugin that comes with the theme. 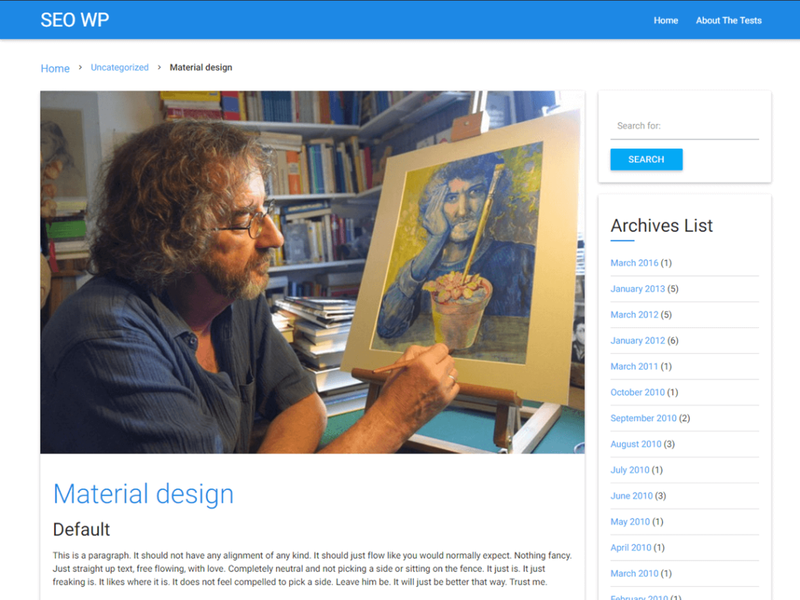 This is a good choice of WordPress theme that you can use in order to showcase your work. It uses SEO best practices, focusing mainly on user experience. The theme comes with a couple of theme demos, which can be used as they are or customized further with the use of the drag and drop page builder that is included. What makes it even greater is its parallax backgrounds, theme options, CSS animations and also its customizable header. This is a great theme that gives users freedom to design the kinds of layouts they need for their websites. It uses an amazing drag and drop builder, and comes with tons of modules, which can make it easy for you to achieve your goals. It comes with many pre-made layouts too, which you can take advantage of in order to modify them to create something that you have in mind. One of the options on the theme panel includes an SEO lab, from where you can customize your homepage for SEO. This is a simple yet powerful WordPress theme whose main focus is to improve social sharing in order to boost one’s viral traffic. The theme was designed in order to help boost users’ search engine rankings. Its main focus is improvement of traffic and social sharing. It comes with amazing social features that can help you integrate sharing buttons, social integration, and features posts among others. This is the kind of theme to use as it was designed with the best SEO practices in mind. Gloria comes with up to 6 demos, which can be modified to help the user get started. 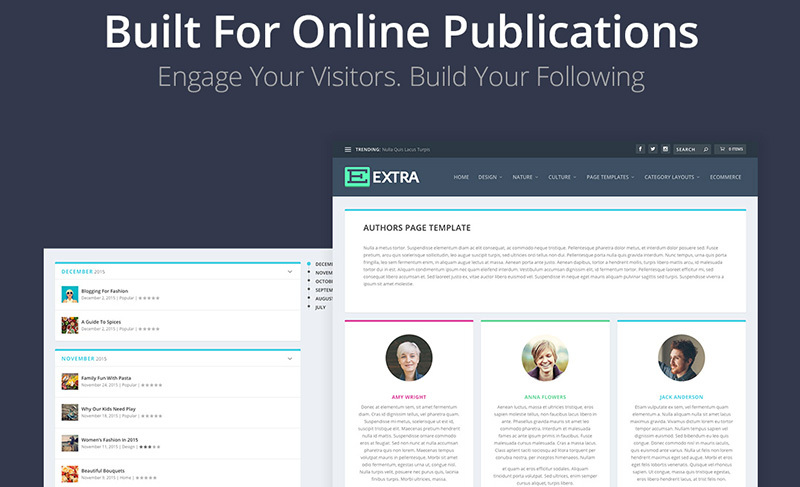 There are many post formats and layouts you can choose from in order to create your own. Some of its best features include 6 headers, unlimited colors, mega menu, and theme customization panel and news ticker. The theme is best to use for personal blogs and magazines. This is a very useful one page theme whose sections are connected to the menu structure, which comprises of a max mega menu. This one page theme with parallax can easily be expanded into an online store. The theme comes with sample pages and types of posts, together with your latest blog post which are all displayed on your main page within your website sections. Some of the theme’s best features are shortcodes and customizable colors, all of which allows users to customize the theme in order to suit his needs. The theme also comes with tools that can help you manage your SEO. This is one of those WordPress themes whose main focus is on SEO. The theme was designed mainly for SEO agencies to help developers achieve their SEO goals. It comes with a number of premium SEO plugins that can help improve your SEO as well as page loading. 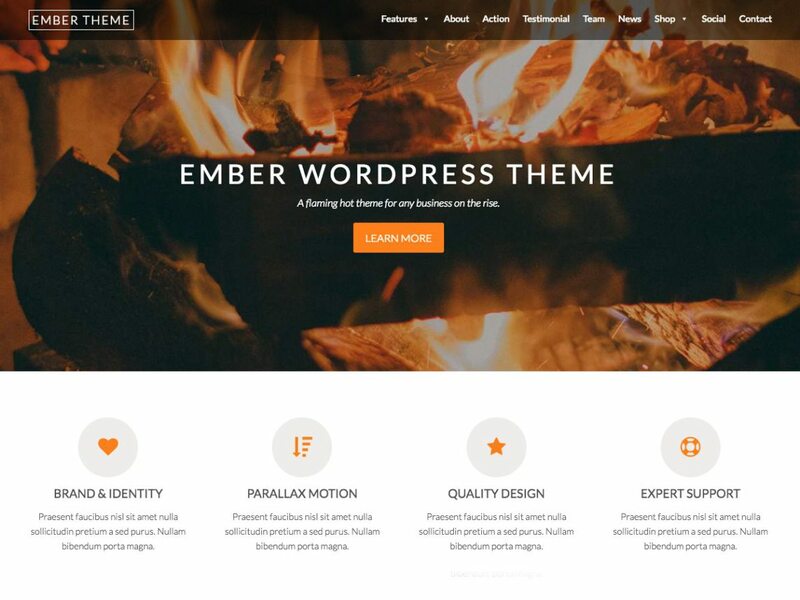 This is a great WordPress theme that has been built on the Divi modular platform. The theme uses a category builder to help its users create customized magazine layouts that stresses more on categories. It comes with tons of modules too, plus pre-made layouts which users can modify in order to come up with their own layouts, which they can use over and over again. Its panel comes with custom SEO features that you can use on your homepage, index Page as well as single post page for SEO. This is a simple WordPress Theme that comes with so many homepage layouts for its users, all of which focus on SEO. The theme also includes a number of homepage and category layouts to help users create the kinds of pages they want for their projects. The theme is clean, therefore it loads faster. It is the kind of theme to use for a blog or any kind of magazine. With all of these in mind, building an SEO friendly website need not be a hard task. You just need to pick one of the themes that can help you achieve your goals easily and your website will be highly interactive and desirable.